1. 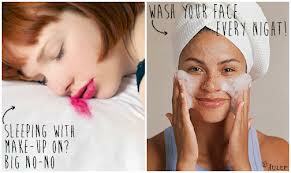 Choose a cleanser that is either Cream or Gel based. Cream based works well with those of us with dryer skin, and the Gel based is ideal for those that tend to be more oily. The Arizona heat will cause those with dry skin to become even dryer and those with oily skin will find the heat will cause you to sweat and produce more oil. The Cream based cleanser will begin your skin care regimen with a surge of moisture while effectively cleaning and detoxing your face. The Gel based cleanser is lighter and won’t add too much moisture, but will deeply cleanse your face with and balance the oils. 2. Check to be sure your Sunscreen isn’t out dated. Sunscreens are only good for a year, after that they become ineffective. 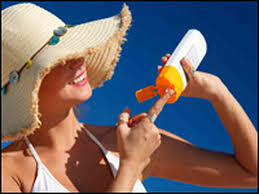 Be sure to use a Broad Spectrum Sunscreen with an SPF of at least 30 on your face. 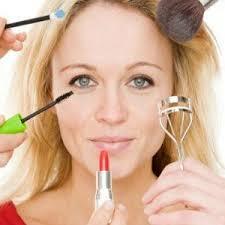 It should also be non-comedogenic , which means it won’t clog pores and cause breakouts. It’s good to use waterproof if you’ll be sweating a lot, or just be mindful to reapply. Remember, about 80% of wrinkles come from sun exposure. So cover up. 3. Spring is a great time in Arizona to get one more peel before the summer heat hits. 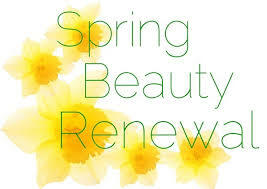 It will be about 6 months before we are able to Peel again so schedule to see your esthetician and get your skin looking it’s best for the those summer months. This is a good time to switch up your Home Skin Care Products as well. Bring your current products and see what needs to go and what needs to be added for your summer skin care. 4. 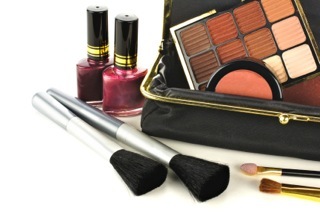 Now’s the time to do a little Spring Cleaning of your Make-up Bag. Our January Blog has some great guidelines to follow as well as some fun products to help you do just that. You’ll want to replace those heavy liquid foundations with some loose mineral powders, tinted moisturizers or BB creams. The same goes for your blush. Shop for some fun summer colors for your lips and eyes, and switch to waterproof mascara.Don’t forget to wash your brushes and sanitize your make up as well. 5. 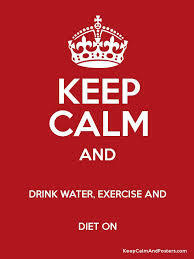 Finally, we all know that exercising, drinking lots of water and eating a balanced diet is something we should all be doing all the time. Challenge yourself to stick with it. Nothing makes our skin look better. It’s beautiful in Arizona this time of year, get out and enjoy the outdoors. Fill up your water bottle, hike one of the many beautiful mountains and find a Farmers Market for some fresh fruits and veggies. Your skin will thank you with a glow you probably haven’t seen for a while. Previous postFLY Next postAhhhh Sugar! Do Do Do Do Do Do!